Mold in your home can trigger allergies and other respiratory problems. It can even cause very serious illness, in the case of mycotoxins, warns the Environmental Protection Agency (EPA). 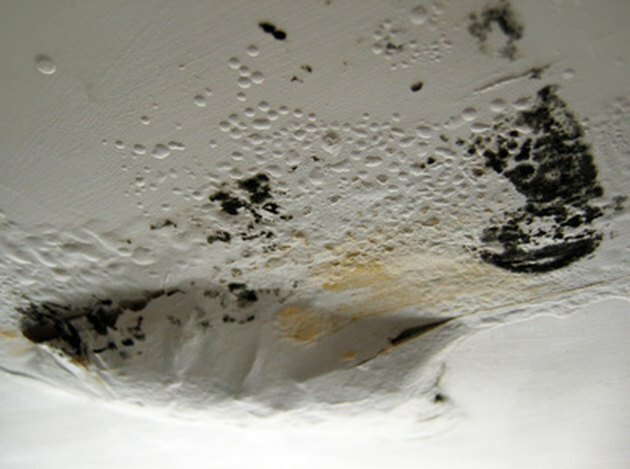 Even small amounts of mold, such as a corner of a plaster ceiling, indicate a moisture problem. 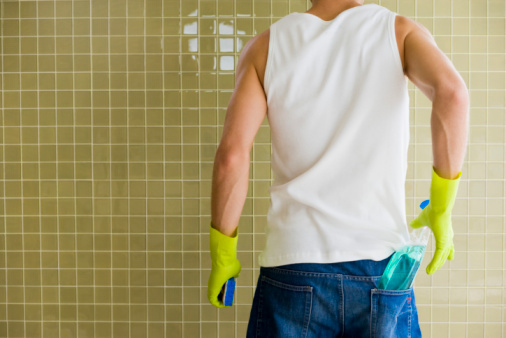 This moisture can result from a poorly ventilated, humid bathroom or perhaps a leaky roof. Once you've addressed the root cause of your plaster ceiling mold, the unsightly black stains should be cleaned. Test to see if the stain is actually from mold, not dirt or water. Spray or dab a little bleach on the moldy area. If the color fades and disappears within a minute, it's mold. If the bleach doesn't make the stain disappear, it's not mold. Scrub away loose mold with paper towels Wipe only the moldy area, then discard the paper towels in the trash. Don't use them to wipe anywhere else because you'll spread mold spores. Mix four parts bleach to one part water. Spray or sponge the solution liberally on the moldy ceiling. Wear eye protection to keep bleach out of your eyes. Let the solution sit on the surface for 10 to 15 minutes. Rinse the bleach solution well, and let the ceiling dry. 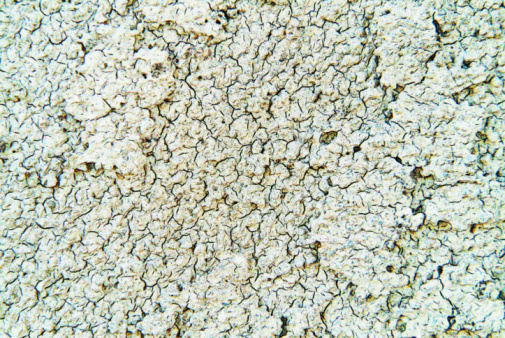 Bleach typically does not harm plaster or painted walls. If you don't have bleach, use household detergent and water. The EPA recommends scrubbing the mold from hard surfaces with detergent and water, then rinsing it. Throw away all the rags you've used for the project.